Seeking blue skies, sunshine and a break from your smartphone? Philadelphia's urban spaces and public gardens can provide a quick fix, or you can venture a little farther outside the city and really get back to nature. Presented in order of ascending distance from Philadelphia, here are the best campgrounds within 150 miles of Center City. Evansburg State Park; Collegeville, Pa. Organized group tenting is available by reservation only at this verdant oasis in Montgomery County, first settled by the Mennonites centuries ago. 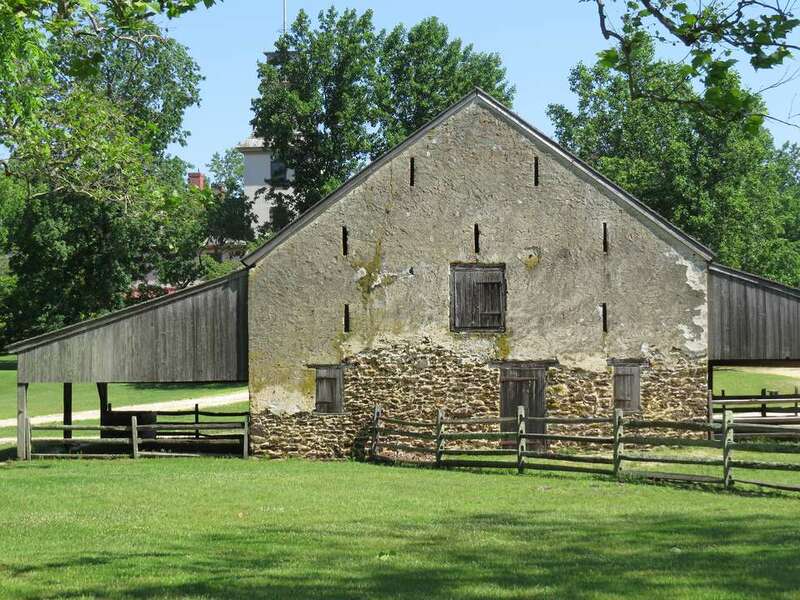 A combined 26 miles of trails challenge hikers, mountain bikers and equestrians, while anglers can cast a line in the shadow of the mill ruins that line Skippack Creek. Hibernia County Park; Wagontown, Pa. Located just steps from the 94-acre Chambers Lake, campgrounds at Hibernia County Park provide easy access to fishing and boating (self-propelled vessels only). Hikers following the 0.67-mile Lake Trail should keep their peepers peeled for egrets, eagles and osprey. Accommodations span primitive campsites to furnished cabins at the massive Wharton State Forest, which stretches across Atlantic, Burlington and Camden counties in New Jersey. Here, outdoor pursuits (canoeing, hiking, birdwatching, horseback riding and mountain biking) can be augmented by tours of the preserved Harrisville and Batsto villages, two abandoned industrial centers that live on within the forest's depths. French Creek State Park; Elverson, Pa.
At a combined 90 acres, Scotts Run and Hopewell lakes set the scene for water-logged fun at French Creek State Park. Back on dry land, outdoors enthusiasts can expect 35 miles of hiking trails, 20 miles of mountain biking trails, and infinite opportunities to spot local wildlife and migratory birds. Locust Lake State Park; Barnesville, Pa.
Nestled just beyond the banks of the 52-acre Locust Lake, campgrounds at this mountain-side park are separate for tents and trailers. Both campgrounds are within easy reach of the water, where visitors enjoy swimming, fishing and boating. Hickory Run State Park; White Haven, Pa.
No visit to Hickory Run State Park is complete without stepping around the giant red sandstone boulders at the aptly named Boulder Field. The result of climate change 20,000-some years ago, the 720,000-square-foot field is a National Historic Landmark. It's reachable through a number of the park's 24 hiking trails, which comprise 44 miles of rhododendron thickets, hemlock forests and scenic vistas. Tobyhanna State Park; Tobyhanna, Pa. Between Memorial Day weekend and mid-September, sunbathers and swimmers flock to the sandy beaches of Tobyhanna Lake. At 170 acres, this jewel in the crown of Tobyhanna State Park provides plenty of space for other water sports, as well, like boating and fishing. Fifteen miles of trails appeal to mountain bikers and hikers. Promised Land State Park; Greentown, Pa.
Pennsylvania’s 12,464-acre Delaware State Forest surrounds this state park, located 1,800 feet above sea level in the Pocono Mountains. During the warmer months, visitors arrive here to cool off within the park's two bodies of water, Promise Land Lake and Lower Lake. Between the two, the lakes offer 594 acres of water and 13 miles of shoreline, much of which is ideal for wading and sunbathing. Ricketts Glen State Park; Benton, Pa.
You'll need to bring some stamina and a sense of adventure to tackle the 7.2-mile Falls Trail, which leads hikers through steep and rocky terrain in order to reach the natural wonders for which Ricketts Glen is known: its many waterfalls. Rising as high as 94 feet, more than 20 natural waterfalls provide a picturesque backdrop to self-congratulatory pats on the back.